As an emerging technology itself, the field of geographic information systems (GIS) is constantly evolving. Over a span of twenty years, members of the geographic information community have seen this technology advance from command line, workstation-based software to tools that can now be used in the cloud and via mobile devices. This is probably the most asked question posed to those in the Geographic Information Systems (GIS) field and is probably the hardest to answer in a succinct and clear manner. GIS is a technological field that incorporates geographical features with tabular data in order to map, analyze, and assess real-world problems. The key word to this technology is Geography – this means that some portion of the data is spatial. In other words, data that is in some way referenced to locations on the earth. Coupled with this data is usually tabular data known as attribute data. Attribute data can be generally defined as additional information about each of the spatial features. An example of this would be schools. The actual location of the schools is the spatial data. Additional data such as the school name, level of education taught, student capacity would make up the attribute data. It is the partnership of these two data types that enables GIS to be such an effective problem solving tool through spatial analysis. GIS operates on many levels. On the most basic level, geographic information systems technology is used as computer cartography, that is for straight forward mapping. The real power of GIS is through using spatial and statistical methods to analyze attribute and geographic information. The end result of the analysis can be derivative information, interpolated information or prioritized information. Are GIS and geospatial the same? There is an increasing trend to use the term geospatial instead of GIS. What is the difference between geospatial and GIS? Although some may use the terms interchangeably, there is a distinct difference between the two in that GIS refers more narrowly to the traditional definition of using layers of geographic data to produce spatial analysis and derivative maps. Geospatial is more broadly use to refer to all technologies and applications of geographic data. For example, popular social media sites such as Foursquare and Facebook use “check-ins” that allow their users the ability to geographically tag their statuses. While those applications are considered to be geospatial, they don’t fall underneath the stricter definition of what makes up a geographic information system. More: What’s is the Difference Between GIS and Geospatial? What are the different types of GIS Data? What is the different between a certificate and certification in GIS? Although the terms seem similar, a certification in GIS is an acknowledgement of proficiency in one or more areas of GIS, usually obtained through taking an examination. For example, the most common general certificate in GIS is the GISP, offered by the GIS Certification Institute (GISCI). Esri offers a serious of certification exams for its various software products. A certificate in GIS typically achieved by taking short series of GIS related courses from an educational institute, culminating in that institute offering a piece of paper acknowledging competition of the course. A certificate in GIS is not a degree but often employers might accept a certificate in GIS in lieu of a degree in a geography or GIS related major. More: GIS Certification versus Certificate Programs. How do I get a GIS job? 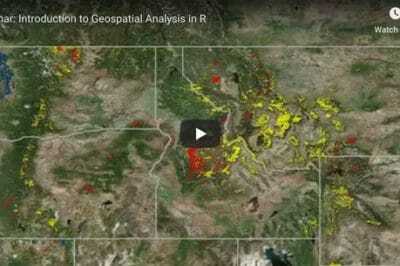 Beyond taking coursework GIS, cartography, and programming, there are several strategies you can employ as you seek a career in GIS. See: Building a GIS Career, Tilting the GIS Job Hunting Odds, and Ten Tips to Prepare for a GIS Job Interview. “A geographic information system is a special case of information systems where the database consists of observations on spatially distributed features, activities or events, which are definable in space as points, lines, or areas. A geographic information system manipulates data about these points, lines, and areas to retrieve data for ad hoc queries and analyses” (Kenneth Dueker,Portland State University, 1979). GIS has already affected most of us in some way without us even realizing it. If you’ve ever used an Internet mapping program to find directions, congratulations, you’ve personally used GIS. The new supermarket chain on the corner was probably located using GIS to determine the most effective place to meet customer demand. Emergency response teams normally use GIS when they want to collect logistics with regards to how they will move in times of natural disasters (see: Predicting Natural Disasters and Humanitarian Crises through GIS). The system also comes in handy when authorities want to discover any potential wetlands that need to be protected from the harmful effects brought about by pollution. Companies also take advantage of the GIS so that they may be able to choose a strategic market location that has not yet been saturated by other competitors in the particular niche industry. Management personnel use this system also so that they can be able to locate areas that are bound to suffer from catastrophes with regards to the infrastructure that is in place there. Any potential spread of diseases & other such like pandemic are usually limited by the use of the GIS since the patterns of their occurrence is predicted in sufficient time. 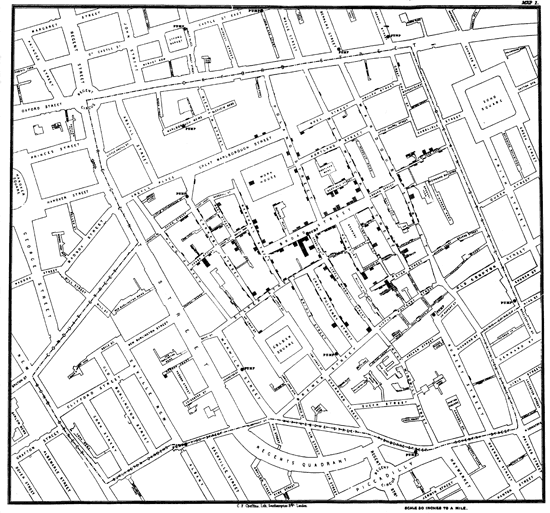 One of the most famous early examples of spatial analysis can be traced back to London in the year 1854 when Dr. John Snow was able to predict the occurrence of cholera outbreak (More: John Snow’s Cholera Map using GIS Data). Thanks to the study that Snow released, officials from the government were able to determine the cause of the disease; which was contaminated water from one of the major pumps. The map that Snow came up with was very interesting in that it had the capability of analyzing the phenomena relating to their geographical positions and this was the first time the world was witnessing this. Photozincography was developed in the earlier years of the 1900s and this enabled the maps to be divided into various layers as required. In the initial stages, the process of drawing these maps was lengthy since it involved free hand but this changed later on with the introduction of the computer. The first GIS was created by Dr. Roger Tomlinson and then introduced in the early 1960s in Canada. During its inception, this system was mainly meant for collecting, storing and then analyzing the capability & potential which the land in the rural areas had. Prior to this, mapping by the use of computers was being used for such cases but this is a method that had numerous limitations associated to it. By the end of the 80s period, the use of GIS had already become popular in other related fields which is why it led to a spur in the growth of the industrial sector. Recently, designers came up with open source software for GIS so that the brilliant technology can be enhanced in a much simpler manner while being made available to all. Hardware comprises the equipment needed to support the many activities needed for geospatial analysis ranging from data collection to data analysis. For desktop GIS, the central piece of equipment is the workstation, which runs the GIS software and is the attachment point for ancillary equipment. The use of handheld field technology and mobile GIS is also becoming an important data collection tool in GIS. With the advent of web mapping, web servers have also become an important piece of equipment. Different types of software are important. Central to this is the GIS application package. 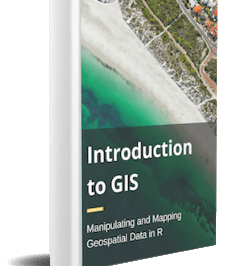 Such software is essential for creating, editing and analyzing spatial and attribute data, therefore these packages contain a myriad of geospatial functions inherent to them. Extensions or add-ons are software that extends the capabilities of the GIS software package. Component GIS software is the opposite of application software. Component GIS seeks to build software applications that meet a specific purpose and thus are limited in their spatial analysis capabilities. 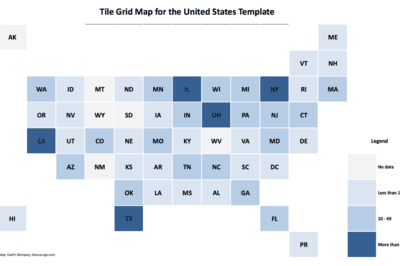 Utilities are stand-alone programs that perform a specific function. For example, a file format utility that converts from on type of GIS file to another. There is also web GIS software that helps serve data and interactive maps through Internet browsers. Data is the core of any GIS. There are two primary types of data that are used in GIS: vector and raster data. A geodatabase is a database that is in some way referenced to locations on the earth. Geodatabases are grouped into two different types: vector and raster. Vector data is spatial data represented as points, lines and polygons. Raster data is cell-based data such as aerial imagery and digital elevation models. Coupled with this data is usually data known as attribute data. Attribute data generally defined as additional information about each spatial feature housed in tabular format. 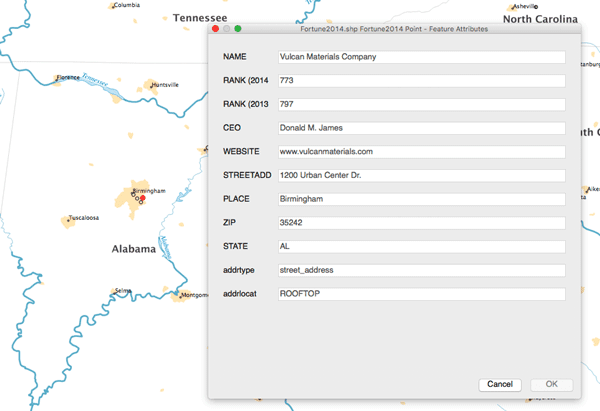 In a GIS, each piece of data contains a geographic location and attributes that describe it. The red dot on the map is a Fortune 1000 company headquarter and the attributes are displayed in the information window. Documentation of GIS datasets is known as metadata. Metadata contains such information as the coordinate system, when the data was created, when it was last updated, who created it and how to contact them and definitions for any of the code attribute data. There are many different ways that GIS data can be collected. Head up digitizing (the process of tracing GIS data directly on the screen), LiDAR, drones, GPS, and satellites are some of the ways GIS data is created. Well-trained GIS professionals knowledgeable in spatial analysis and skilled in using GIS software are essential to the GIS process (More: Building a GIS Career). There are three factors to the people component: education, career path, and networking. The right education is key; taking the right combination of classes. Selecting the right type of GIS job is important. A person highly skilled in GIS analysis should not seek a job as a GIS developer if they haven’t taken the necessary programming classes. Finally, continuous networking with other GIS professionals is essential for the exchange of ideas as well as a support community. What Can You Do With Geographic Information Systems? Article last updated: January 11, 2018. Article first written: November 12, 1999.